U.S. Office of Inspector General cites unsafe practices, dangerous equipment and lack of background checks. Federal auditors gave Maine’s oversight of day care centers and home-based child care poor reviews after discovering a number of unsafe practices, including expired food and drugs, hazardous chemicals within reach of children, dangerous equipment on playgrounds and failure to perform required criminal background checks on employees. Results from the unannounced federal inspections, conducted by the U.S. Office of Inspector General in winter 2013, corresponds with problems identified in a series of stories by the Portland Press Herald earlier this year that pointed to lax oversight and too few inspectors. In a letter to the federal agency, Maine officials agreed with the findings, released Friday, and pointed to a number of reforms in child care licensing that began this spring. The state, which had 12 child care inspectors, hired 16 more to increase the frequency of inspections. Mayhew and other Maine DHHS officials declined to comment for this story. Katherine Harris, OIG spokeswoman, said that auditors chose Maine’s child care inspection program for review based on “risk factors” noticed by the auditors, such as the low number of inspectors per capita and infrequent inspections in Maine. Child care licensing is a new focus for the agency, which so far has released reports in Maine, Michigan and Connecticut. Because the federal audits of child care licensing are so new, it’s unclear how Maine stacks up with other states. The reports will be handed off to another federal oversight agency, the Administration for Children and Families, which will determine whether Maine has made enough changes to satisfy requirements to continue receiving federal money for the program. Maine budgets $20 million for its child care inspection program, with most of the funds coming from the federal government. Bill Hager, public policy director for the Alliance for Children’s Care, a trade group representing Maine day cares, said the audit will push the state to make improvements. The federal inspectors audited 20 home-based child care operations and six child care centers out of more than 2,000 facilities in the state. None of those inspected were named in the report, but they spanned the state, including sites in Portland, Lewiston, Augusta, Buxton, Sanford, North Waterboro, Carmel and Lyman. In one case, inspectors discovered year-old breast milk in a freezer at a day care center. State standards require that unused breast milk, even if frozen, be discarded after two weeks. Other findings included expired medications in a first-aid kit, outdoor play areas with broken equipment, pet waste, or a lack of fencing, and dangerous items such as knives, scissors and cleaning products within reach of children. The state has already met some of the recommendations laid out in the report, including hiring more inspectors. 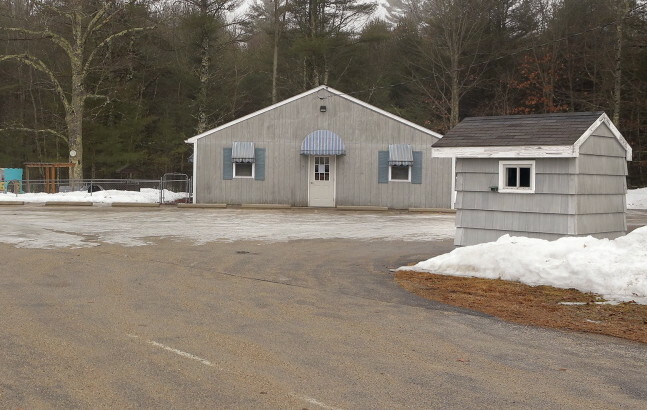 The Maine Department of Health and Human Services child care licensing division also made changes to it management structure after reports of managers failing to follow-up on incidents of child abuse and neglect. A Maine agency that investigates problems within state government is conducting its own review of the licensing program, based on complaints by former child care employees. The Press Herald’s series focused in part on a case of abuse in Lyman, at Sunshine Child Care & Preschool, which became public in January. Sunshine closed when parents pulled their children out of the program. Documents obtained by the Press Herald revealed that DHHS managers waited more than a year to take action against Sunshine though inspectors had found that children at the facility were force-fed milk, “slammed” to the ground, had soap put in their mouths and were otherwise abused. Two former child care inspectors, Nicole White and Charley LaFlamme, came forward to the Press Herald detailing numerous problems within the agency, including the lag in time it took to take action and overall poor management of the department. State officials admitted that Maine fell short in the Sunshine case. Since the reports became public, they have implemented a number of reforms. Starting later this year, the results of child care facility inspections will be published on a DHHS website. Many states already put reports online for parents to review.